ICC Belfast are thrilled to announce that we will be attending the BNC Event Show on Wednesday 20th February 2019. 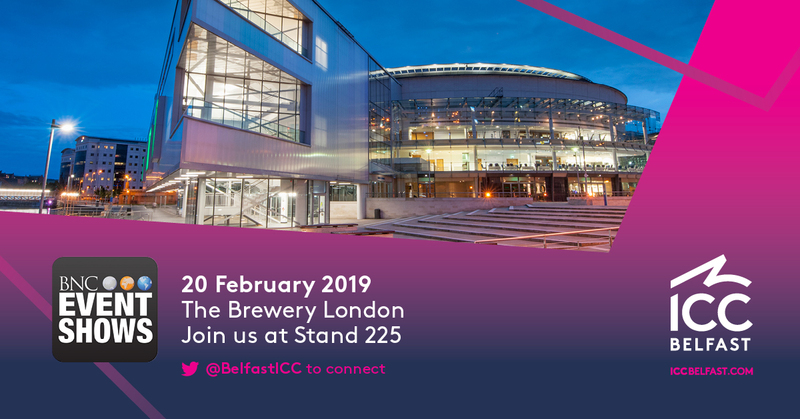 Connect with ICC Belfast on Twitter @BelfastICC before the event and be sure to drop by Stand 225 to say hello, we would love to meet you! Taking place at London’s iconic The Brewery venue on Chiswell Street, The BNC Event Show is a lively and dynamic, day-long networking exhibition that brings the events industry to life in front of a handpicked audience of the UK’s most senior event professionals. Come and see us on Stand 225 and learn how ICC Belfast is the ideal venue to organise an event! We look forward to meeting you, see you at The Show!